The farm, established in 2015, is situated in Hazelwood, Mallow, Co. Cork where he produces over 20 different varieties of vegetables, salads, herbs and fruit. Everything produced on the farm is grown only as nature intended, without the use of artificial pesticides, herbicides or fertilisers. 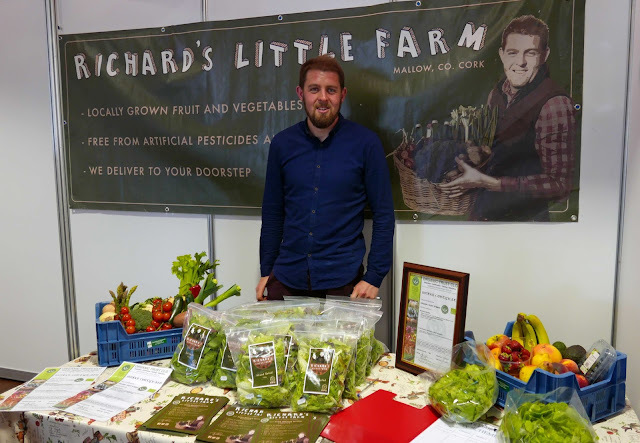 All the crops are grown and harvested by hand and sold locally at the Mallow Farmers Market (Friday 9am- 1pm) and the Nano Nagle Centre in Killavullen (every second Saturday 10:30am- 1pm) and also in local shops and restaurants. And, as we all know, vegetables are always so much better when harvested fresh and used in season. That Vegetable Box scheme is seasonal of course so will vary from time to time. You may receive updates each week via text, Facebook, email or Twitter. Then you pick what you want and, freshly harvested, it is delivered to your doorstep free of charge! You can sign up via the Facebook Page or by contacting Richard at 087 281 2054. With just an acre to work from, this farmer sometimes has to think outside the box. Caught for space? Do what Richard did and start planting your salads in a length of gutter! 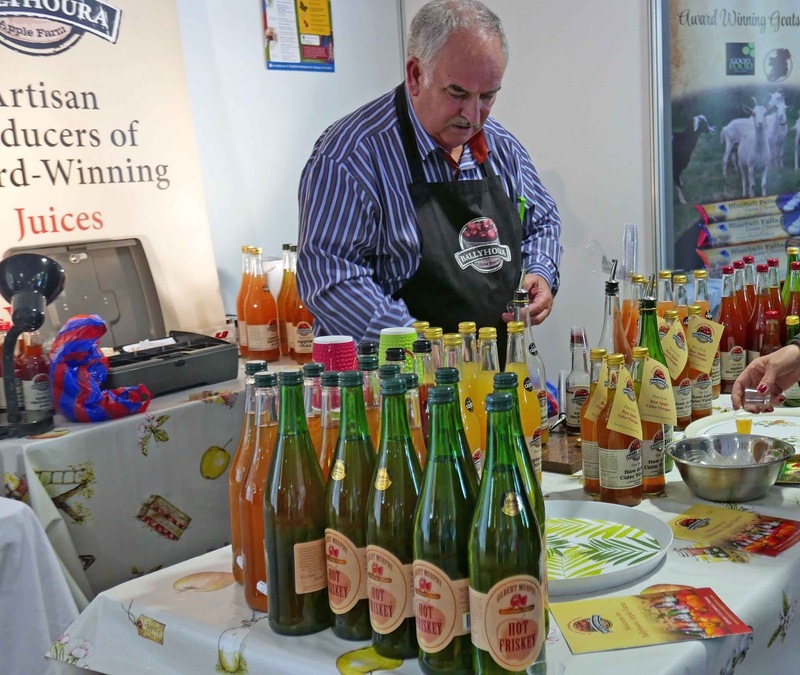 Richard is one of quite a few North Cork producers that I saw at The Taste Cork tent in the Mallow Home and Garden Festival at the weekend. One visitor asked him how he started, what did he need. “Oh, just a patch of land and a broad back,” he joked. A bit of get up (early) and go too, I reckon. 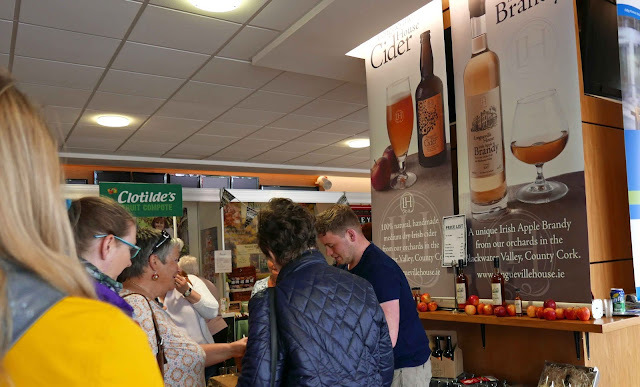 and Longueville House cider and brandy. Lots of chocolate tasted over the past few weeks - it’s that time of year. But very hard to beat this Milk Chocolate or Seacláid Bhainne. Hard too to get us Irish to turn our backs on that bainne as milk has been part of our lives for ever. The package emphasises that link with the words: A taste of bygone days. Well maybe the days are gone but the lovely flavours of milk remains. 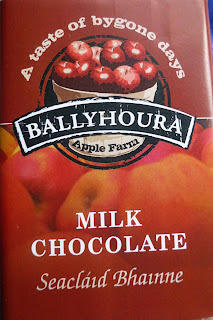 It is alive and delicious in this bar, that I bought from the Ballyhoura Apple stall in Mahon Point Farmers Market. 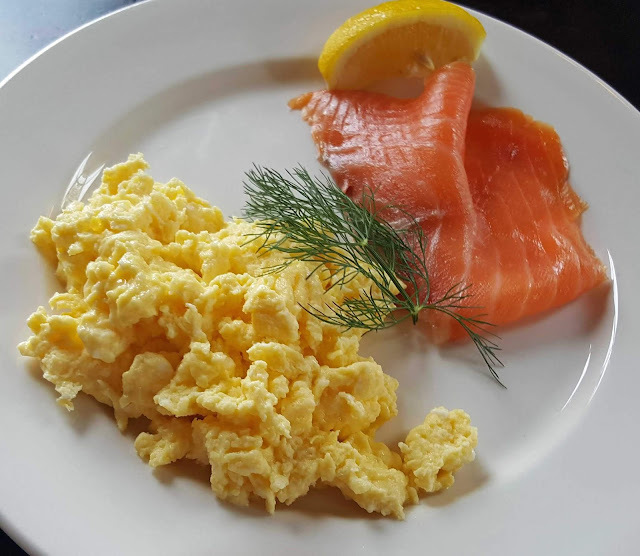 Made for them “by a local lady”, it is full of flavour with a pleasing texture and is our Taste of the Week. Well worth a try! For more on Ballyhoura Apple Farm, check their website here.